For a newbie, getting the lay of the land at the local dog run can be an intimidating experience. Though most public dog runs have signs explaining the park’s hard-and-fast deal breakers (Do Not Leave Your Pet Unattended; No Toys, Bones or Treats Allowed), there are unwritten rules about how you and your dog should play at the doggie playground. 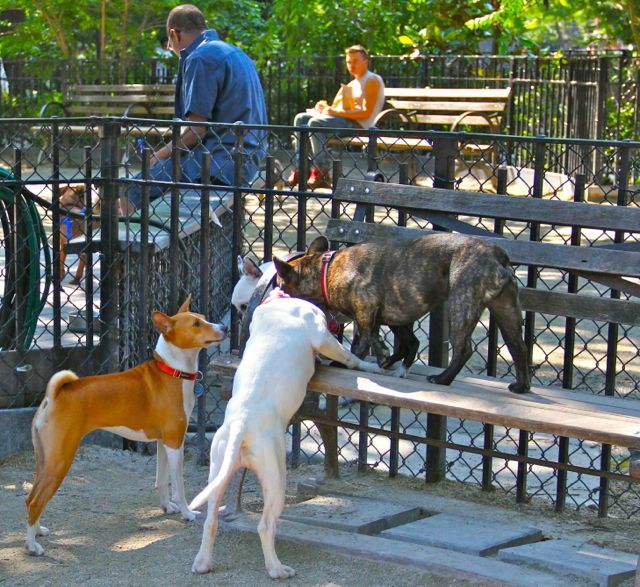 To help you navigate this new world, we’ve gotten advice from a dog park expert to help you ensure your next trip to the dog run is fun for you, your dog, and everyone else. Test drive a few runs to find the best fit. 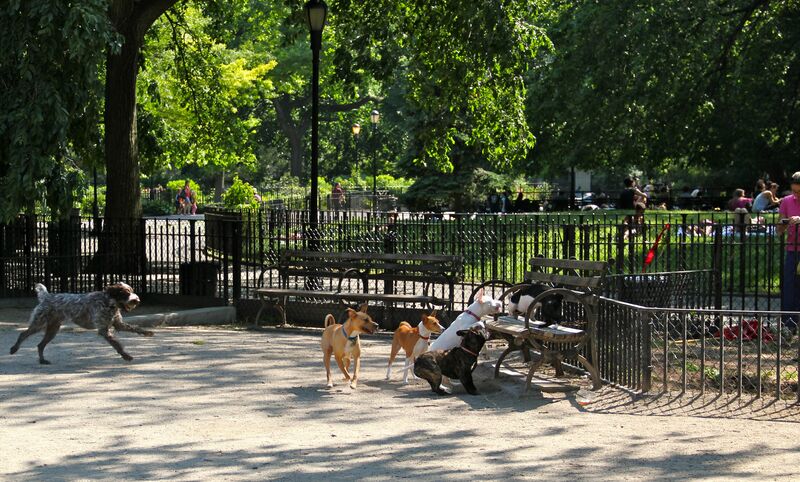 New York City is the country’s leader in public dog runs with over 40. As Bing points out, these are mostly self-policing; the municipal budget doesn’t cover Parks Department staff. Dog runs in city’s various neighborhoods accordingly have different atmospheres. 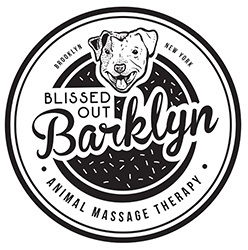 The vibe at a dog run in Manhattan’s affluent Upper East Side will be very different from a run in hipster Williamsburg, Brooklyn. 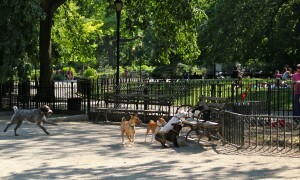 Cruise dog runs near you until you find a park that suits you and your dog. Don’t dive in with the people too quickly either. You may be tempted when you move into a new neighborhood to strike up a conversation with every fellow retriever owner, but take care; these are the people you’re going to see at 6 a.m. before you’ve had your coffee, and at midnight right before you hit the hay. Keep a respectful distance until you know if they’re biters or not! Make sure to follow the basic rules. 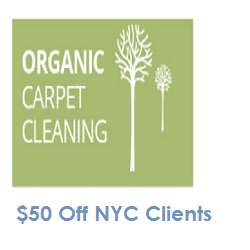 Key responsibilities include picking up your dog’s poop (yes, even if no one is watching), and closing all gates when entering or leaving. And seriously rethink bringing children to the run, even if they are allowed. It seems like it would be a lot of fun to have your kids hang out with other dogs, but you’ll be regretting your decision when two aggressive dogs start tangling. Then it’s just scary. A few last tips to consider. “It might sound mean,” says Bing, “but do not give other dogs treats. It can start fights, and my dog, for example, is on a strict diet and will [be sick] for three days if she eats something she shouldn’t. Also, your dog should not be on a leash in a public run. This can cause leash aggression.” Finally, do not bring a female dog in heat to a run. You will have an unwed mother on your hands!